The Austrian mountain railway company “Gasteiner Bergbahnen” broke the crowdfunding record in Austria in 2017 and was just as successful with their new campaign in 2018, but let’s start at the beginning. 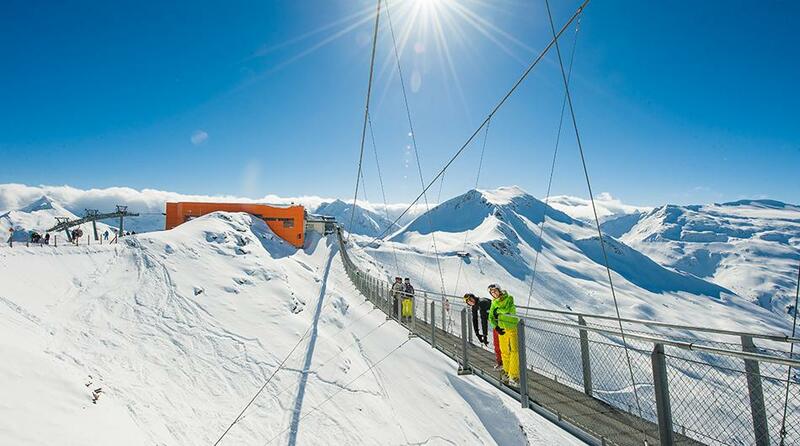 The “Gasteiner Bergbahnen” are about to create a whole new skiing experience in Gastein. Their slogan “Non stop to the top” expresses their focus on creating a comfortable and modern skiing experience for real skiing fans. Part of the money needed for this project was generated by 3 crowdfunding campaigns, launched on 1000×1000.at. It all started in 2016 with the campaign “Schlossalm neu”. Within 3 days the crowd invested 1.5 Million Euros, which was only the start of a very successful crowdfunding story. In 2017 The company started their second round and people were just as passionate. Those people, most of them living in places near the skiing region, invested 1.6 Million again. Both campaigns raised more than 3 Million Euros together, which broke the Austrian crowdfunding record in 2017. By that time almost 800 passionate fans were involved. Even though the company raised this huge amount of money, that was never really the most important focus for them. They also saw a huge chance in getting connected with the skiing-fans, that would later visit their skiing region. Many investors got coupons for exactly that when they invested and will probably be the first ones that go “non stop to the top” when everything is finished. In 2018 Gastein started their 3rd campaign. The fundingminimum was again reached within days and by now there are 125 investors on board. The campaign will finish in 60 days. Find more information on 1000×1000.at!